Is a viral infection by the same type of virus that causes chickenpox. It is also known as “kayap” in Malay or “生蛇” in Chinese. 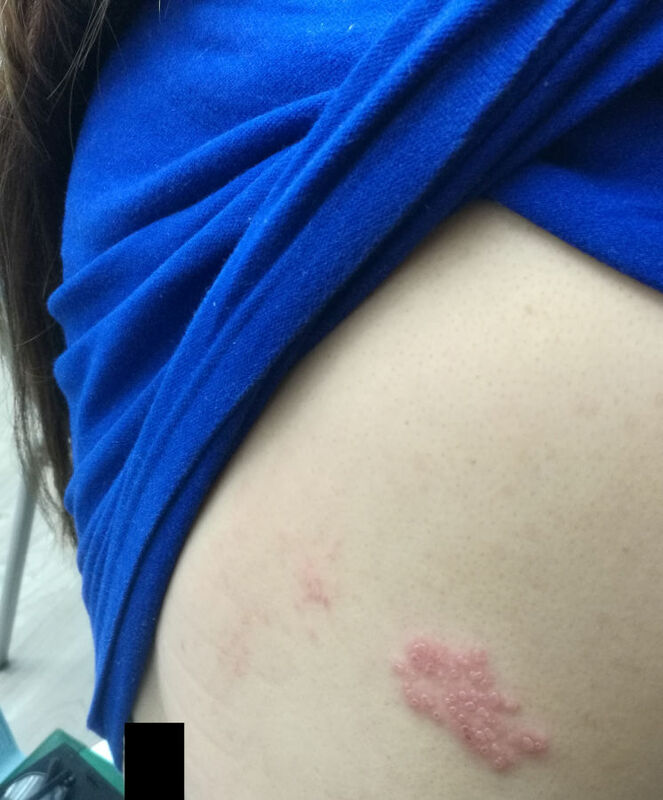 Its rashes can form ulcers and cause severe nerve pain. The pain is described as ‘electrical current pain’. This pain can be prolonged for weeks if not treated early. These ulcers later may formed ugly scars and healed with dark-coloured pigmentation. Herpes zoster is easily treated with anti-viral. For treatment information, please call 0192220623.